This spring has been extraordinarily beautiful in Los Angeles – from the vibrant jacarandas enlivening the streets from the Eastside to the ocean, to the glorious fields of wild flowers sprouting from our back yards to the desert. Here are Tracy Do Real Estate we have been feeling lucky to enjoy this amazing weather after a long rainy spell – though of course without the rain we would not have had this majestic plant explosion, so it was well worth it! We started off our spring on an athletic note and have been out and about enjoying the neighborhoods and supporting our local community. This year we participated once more in Donovan’s 5K run to support Elysian Heights Elementary School, which we proudly sponsor. Elysian Heights Elementary is exemplary of Echo Park’s spirit – this excellent, nurturing school has wonderful culture with emphasis on civic-mindedness and creativity, and the fact that after-school art and music classes are taught on a volunteer basis shows just how dedicated the community is to making the school great. This past weekend we had a most joyous time running and walking in support of the Silverlake Conservatory – it was an absolutely gorgeous day, sunny and bright, just the most perfect spring weather. We are very proud to run and sponsor The Silverlake Conservatory of Music – this vital nonprofit does an amazing job providing music education to people of all ages. This year’s run was time was made extra special by Flea of Red Hot Chili Peppers – who was also there to support the inspiring mission and programs at the Conservatory. 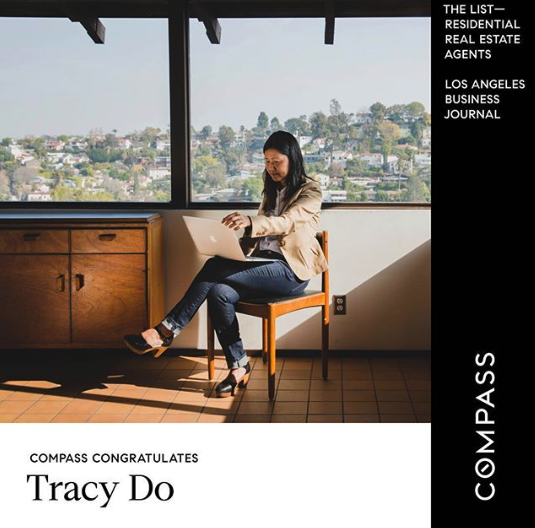 Also, in case you missed it, we were deeply honored and very excited to be ranked 11 in sales volume among residential real estate agents in Los Angeles County by LA Business Journal. It means a great deal to be part of so many people’s lives and paramountly important journeys to homeownership. We are very grateful to you, our loyal and inspiring clients that make our work feel immensely rewarding, and can’t wait for more adventures in Real Estate with you!